At Jackson Farming Company, we believe that no other cantaloupe can match the flavor of ours! We put great effort into ensuring our young cantaloupe plants are cared for properly, enabling them to grow into the delicious treat you know and love. Our cantaloupes, predominately Eastern variety, are shipped in bins and cartons from May through September. We grow all of our cantaloupes on black plastic using drip irrigation. 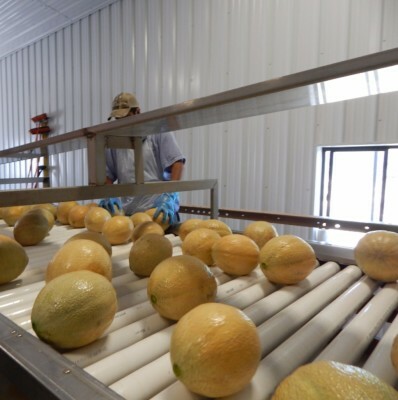 Our cantaloupes are brushed and washed in a chlorinated water bath. After harvest during the month of July through September, all crops are pre-cooled and shipped within 24 hours to ensure taste and quality. Food Safety: Here at JFC, we take food safety very seriously. In 2013, after the lysteria outbreak in Colorado, JFC was on the frontline of redefining food safety requirements for Cantaloupes. That year we fully inclosed our Cantaloupe packing shed and upgraded our packing line. When no food grade packing on the market could satisfy our needs for food safety we had our machine shop build one from the ground up that would meet our strict standards. Everything in our new facility is food grade from the line itself, the trailers used to haul in the cantaloupes, to the grease in the fittings and bareings. To learn more about our food safety efforts please vistit our Food Safety Page. Athena Cantaloupes: Very low in calories (100 g fruit has just 34 calories) and fats. Nonetheless, the fruit is rich in numerous health promoting poly-phenolic plant derived compounds, vitamins, and minerals that are absolute for optimum health. The aroma of the Athenas are pleasing to people around the world! 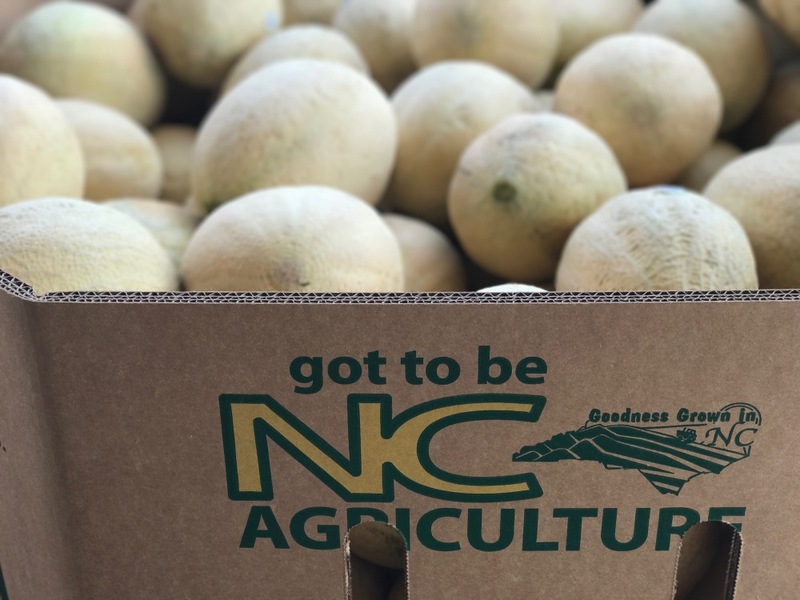 Infinite Gold Cantaloupes: The next big thing in Cantaloupes--bred for strong performance and long shelf life with sacrificing the great flavor and fruit quality our customers have come to love. 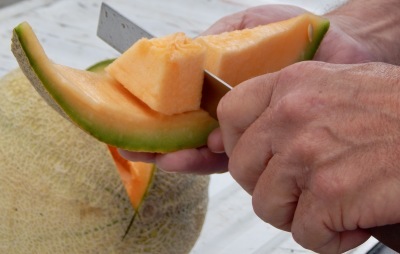 Did you know:​​​​​ The size, shape, color, sweetness and texture of the fruit all depend on the type of melon. Skin can be either smooth or rough. Color of the skin can be green, yellow, orange, creamy or khaki. 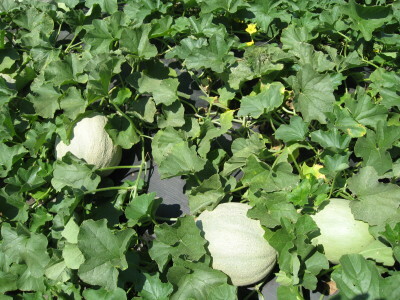 The sweetness of the melon depends on the climate conditions and intensity of photosynthesis (production of sugar from the carbon dioxide and water, with the help of sun).